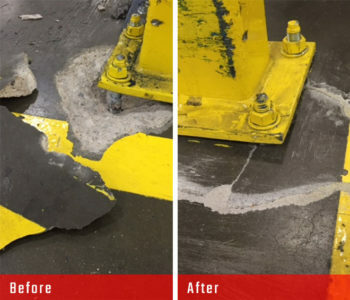 Concrete repair that doesn’t slow down your operation. Bumps and hits are going to happen, even with the most careful forklift and truck operators. The damage leads to hazardous conditions that put employee safety and product quality at risk. Employees face trips and falls due to concrete surface damage. Materials fall off forklifts operating on uneven surfaces. 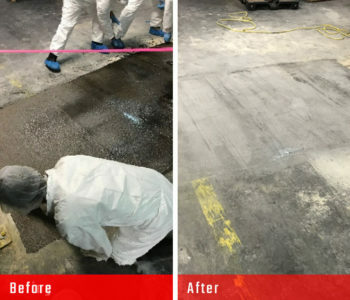 With Commercial Concrete Solutions, there’s a way to quickly repair concrete surfaces, so you can minimize work comp claims and unscheduled equipment maintenance due to rough surfaces. And it can be done without shutting down since our process lets you return to service in as few as 15 minutes after the repair is complete.